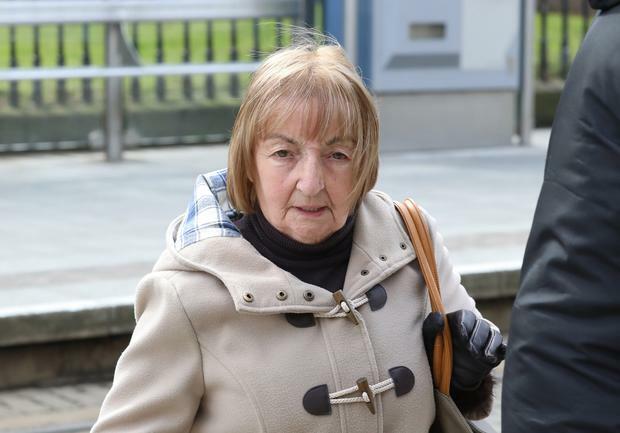 A pensioner who claimed she fell over baggage, hurting her knee after she went through security at Dublin Airport before flying out on a trip-of-a-lifetime, has lost her High Court action. Catherine Gallagher, Mr Justice Michael Hanna said tripped up badly where one could reasonably expect to find bags and she should have been keeping a proper lookout. "People have to watch out for luggage in this area," the judge said dismissing the 80-year old woman's case over the fall after she went through the security arch and was hand scanned at Terminal 2. But the pensioner has been spared paying all legal costs of the four day action at the High Court when the Judge ruled that each side should pay their own costs on the grounds the case brought was novel and had an element of public service to it in that the system at the airport was legally tested and found to be a good and safe system. Catherine Gallagher of Bray, Co Wicklow, had sued the DAA PLC, which manages Dublin Airport as a result of the fall on April 14, 2014, at Terminal Two as she went through a security check on her way to get her flight to Vietnam. She opted to continue on her travel but two days into her holiday in Vietnam the grandmother said she could not walk and an x-ray at a hospital in Ho Chi Minh city showed a fracture. Instead of going on the Ho Chi Minh Trail, Mrs Gallagher ended up being transferred by air ambulance to Thailand where she spent 10 days in a hospital in Bangkok. She had an operation to a fracture above her earlier knee replacement before being transferred back to Dublin in another air ambulance. She had claimed there was an alleged failure to prevent other passengers from creating trip hazards during the security screening of passengers and there was an alleged failure to ensure a safe system for the security screening of passengers transiting the terminal. The Dublin Airport Authority had denied all the claims and contended the pensioner allegedly failed to pay any adequate attention to what was going on about her and allegedly failed to notice the items on the floor. Dismissing the case, Mr Justice Hanna said Mrs Gallagher's account "unfortunately does not stack up." The judge preferred the account of the security officer but this, he said did not reflect on the veracity of the pensioner as a person. He said in cross examination Mrs Gallagher had changed her account of the fall and said she may have taken a couple of steps before it. He said from the time Mrs Gallagher completed the screening, there was sufficient time and space for her to observe any baggage. The case she fell over, Mr Justice Hanna said was probably left momentarily by another passenger on the ground while the owner went off to retrieve items. The judge was satisfied the offending bag was placed in an area one might reasonably be expected to encounter such items and a security screening system was a necessary and unavoidable part of travel. There was the judge ruled no negligence or breach of duty on behalf of the DAA and with great regret he had to dismiss Mrs Gallagher's case. Counsel for the DAA Shane English BL applied for his costs of the four day hearing. Mr Justice Hanna said Mrs Gallagher had a ghastly experience but it was a novel case and there was an element of public service in bringing the proceedings. The DAA Mr Justice Hanna said can be satisfied it has a good and safe system.